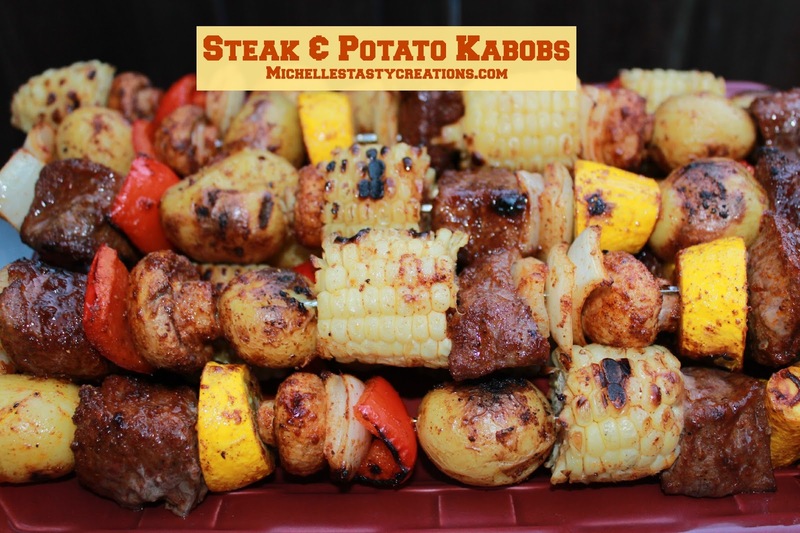 My new favorite way to grill steak is these delicious Steak & Potato Kabobs! I've been wanting to try kabobs with baby potatoes and corn on the cob for a while now and I finally gave it a try last week and they were A-MAZ-ING! I love making kabobs because you get the whole meal all on one skewer and you don't have to worry about the side dishes, other than maybe some bread, which is great with any meal. These were super easy and I'll definitely be making them again, and you should too! Parboil the potatoes by placing them in cold water and bringing the water to a boil. Reduce to a simmer and cook 12-15 minutes until fork tender. Drain and cool for a minute to allow the extra water to dry on the outside. Sprinkle the potatoes with a couple Tablespoons of oil and a large spoonful of my grill rub. Using a spoon, turn the potatoes in the oil and rub until well coated. Set aside. Cut the steak into cubes and place in a large zip top bag. Sprinkle with a tablespoon or two of oil and a large scoop of grill rub. Zip the bag closed and mush around until well coated. Using the same bag, do this for all the veggies also. Pre heat the BBQ to 350-375. When all the ingredients are coated with the grill rub, start putting them on the skewers of your choice. If using bamboo skewers make sure to pre soak them for at least 30 minutes so they don't burn while grilling. I used some long metal skewers I had instead of bamboo. They are really sturdy and hold a ton of food. I alternate the ingredients on all the skewers but usually end up with leftover veggies and they all go on the same skewer, lol. Grill for about 10-13 minutes total, turning every 3-4 minutes, depending on how well done you like your meat. We eat medium rare and 10 minutes was perfect. WooHoo! 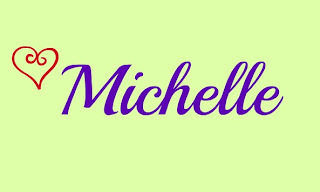 I've created my first eBook Cookbook!